This attractive Impromptu machine stand is perfect for desk-side use. Steel frame with translucent polycarbonate panels adds a touch of class to your office area. Generously sized laminate top 26 1/4"W x 21"D accommodates most office machines. Storage with one fixed interior shelf underneath for office supplies. Includes cord management. 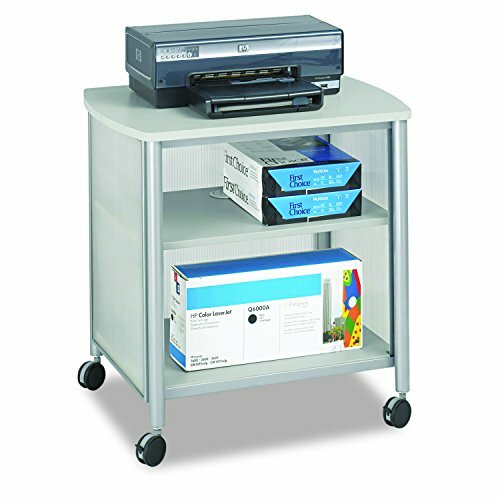 Steel frame with durable powder coat finish and translucent polycarbonate panel(s) mobile on four 2 1/2" casters. Complements Safco Products entire line of Impromptu products.